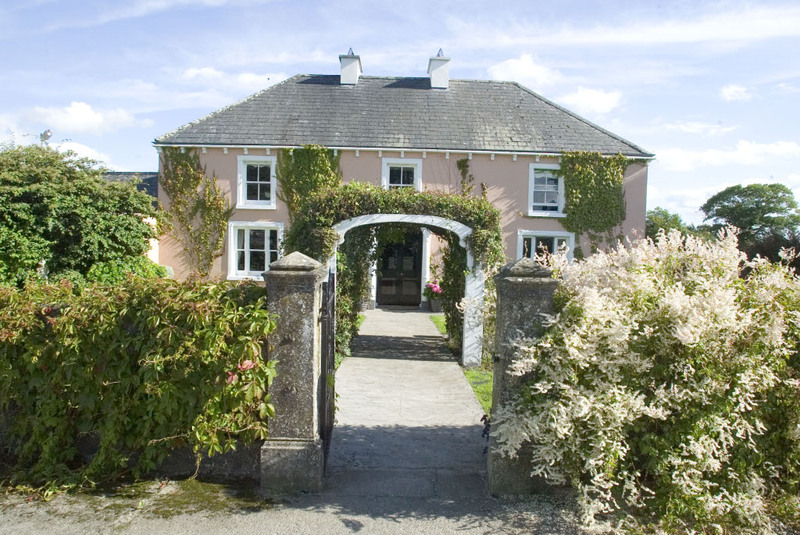 Ryeland House Cookery School first open its doors in Kilkenny in 1991 to provide cooking classes and has been run ever since by the proprietor Mrs. Anne Neary. The house itself is a country farm house built in 1845, it has been the home of the Neary family for over four generations and is located approximately five miles outside the historic city of Kilkenny at Cuffesgrange. Anne is a woman of many talents and in addition to running the Ryeland House Cookery School she is a now a published author. She also presents a cookery slot live on air on KCLR 96FM, one of the biggest local radio stations in the South-East of Ireland. The Cookery Slot goes out at 11.15 am every Wednesday morning during the Sue Nunn show "On the Record", on the show Anne has a Questions and Answers session for listeners. 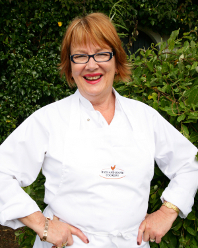 Some of Anne's fabulous Ryeland House Cookery School recipes can be found here on the radio stations website. When it comes to food the ethos of Anne and the Ryeland House Cookery School has always been one of using locally sourced, great quality ingredients. Much of the food used at Ryeland House is grown on the home farm, our neighbours farms or is produced locally by skilled artisan food makers. All the eggs used in our cooking come from our own free range hens, which guests and students are encouraged to visit during their time at Ryeland. 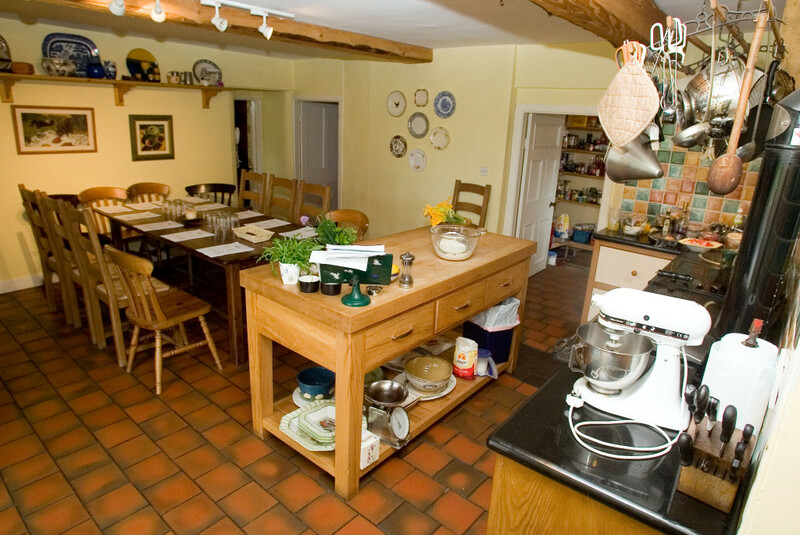 At the Ryeland House Cookery School we provide practical cookery demonstrations, cooking classes and useful cookery tips in a relaxed and informal setting, complete with a Stanley cooker. Our cookery courses are popular with both men and women and whatever your level of cooking ability we can provide a cooking course that will help you to advance your skills. We strive to deliver the best possible experience to our students and towards this end we restrict the size of our cooking classes, both evening and day cookery classes have an average group size of twelve students. GIFT VOUCHERS are available for all our courses and classes, you can obtain them by clicking here or by contacting us at the numbers provided on the contact page. These gift vouchers make an ideal gift for family and friends and are always welcomed by those that receive them. Cooking classes and cookery courses are available as both evening classes and full day courses that cover a wide variety of cooking styles and dining situations. Details of our upcomming courses are available on our courses page. Please note, we also provide Exclusive Group Courses for both day and evening courses, these are ideal for groups of friends or as an alternative work outing.